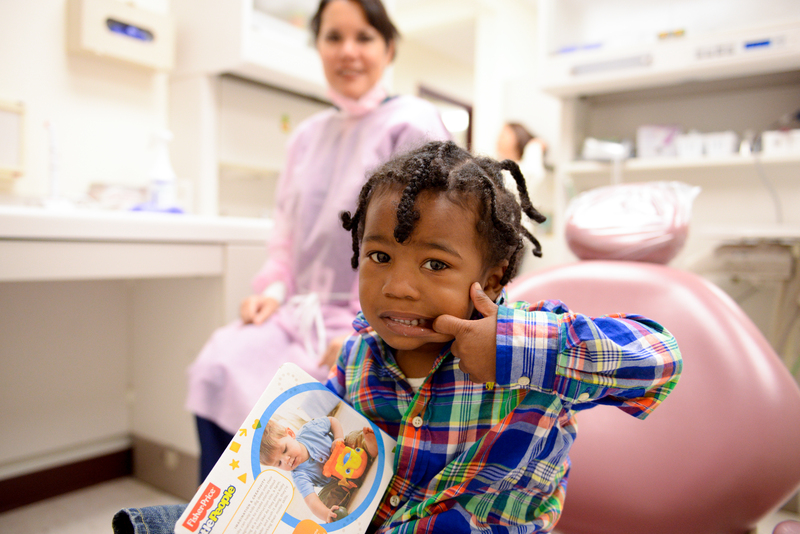 In February 2015, the Dental Home Program celebrated its first year since having opened, serving more than 600 children that required specialized dental treatment services. Services include: exams, cleanings, sealants, fluoride treatments, restorations, extractions and other procedures. While healthy children have various options in the community for dental care, families of children with special health care needs are much more restricted in their choices. CDTC was able to offer a solution to this service gap by offering on-site dental care in the same location families bring their children for medical care. With medical home and dental home programs under the same roof, patients and their families have enhanced accessibility to care and an overall better experience knowing that their children are in the hands of experts. The physician and dental providers are also better able to collaborate to provide centralized care as a team. After such a successful year ,the Dental Home Team looks forward to the program’s continued growth and to making smiles brighter each and every day.